ROME (CNS) — Pope Francis’ call for a missionary church that is focused on preaching the Gospel will be the guiding principle of the apostolic constitution that will govern the Roman Curia, the secretary of the pope’s international Council of Cardinals said. Addressing students and staff at Rome’s Pontifical Lateran University Nov. 12, Bishop Marcello Semeraro of Albano said that the document will also focus on the need for subsidiarity and “a healthy decentralization,” which will strengthen the church’s mission to serve others. 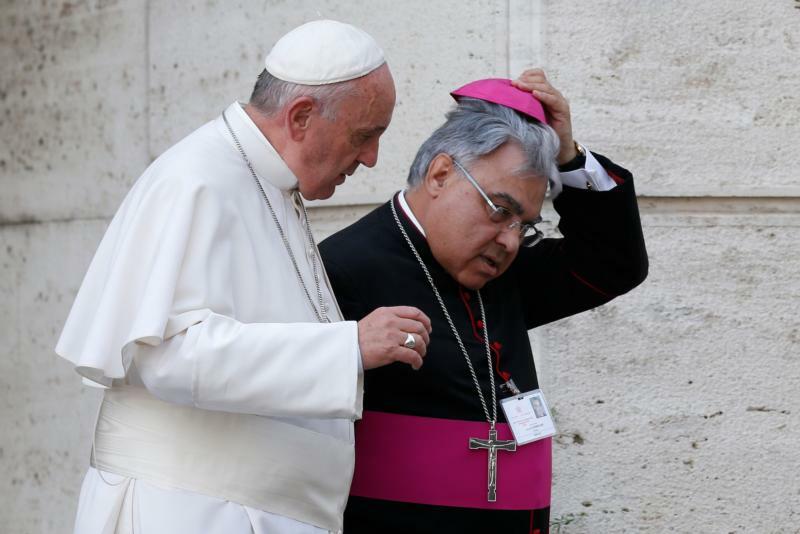 “The Roman Curia is not only an instrument at the service of the Roman pontiff, but also an instrument of service to the particular churches,” Bishop Semeraro said. The current draft of the document, titled “Praedicate Evangelium” (“Preach the Gospel”), was reviewed by the international Council of Cardinals — the so-called C9 — and a final draft given to the pope in June. Currently, Bishop Semeraro said, the draft is undergoing “stylistic revision” and a “canonical re-reading,” which are two necessary stages of development before its release. The bishop did not say when its publication is expected. “A stylistic revision means giving the text the best ‘literary’ coherence possible after the work has been completed. The same can be said for the canonical re-reading, given the legal nature of the document,” he said.